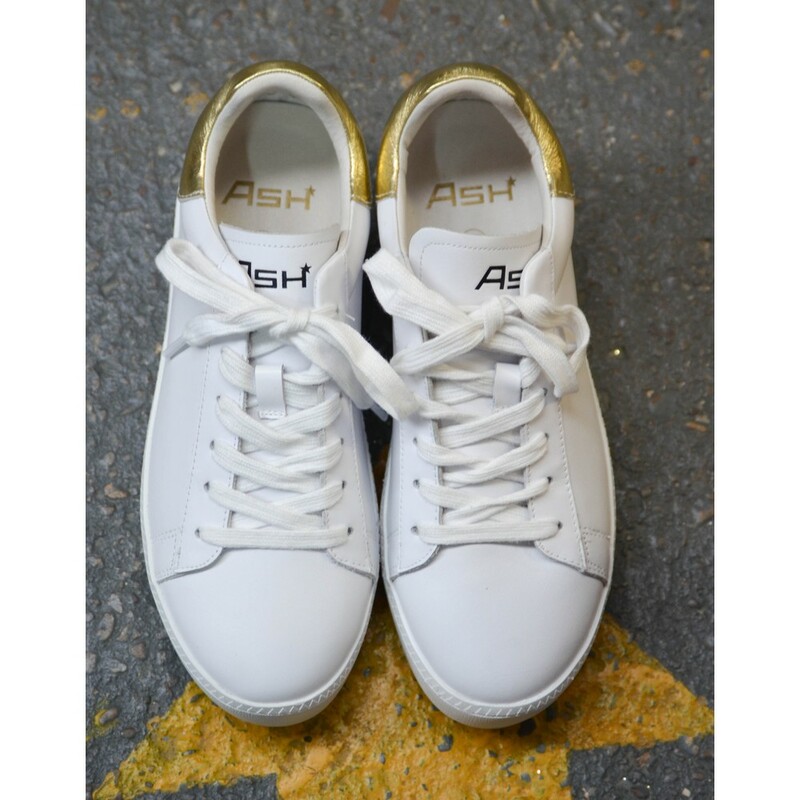 Ash Cult metallic leather trainer in white with gold. These cult trainers have a 2-inch platform. 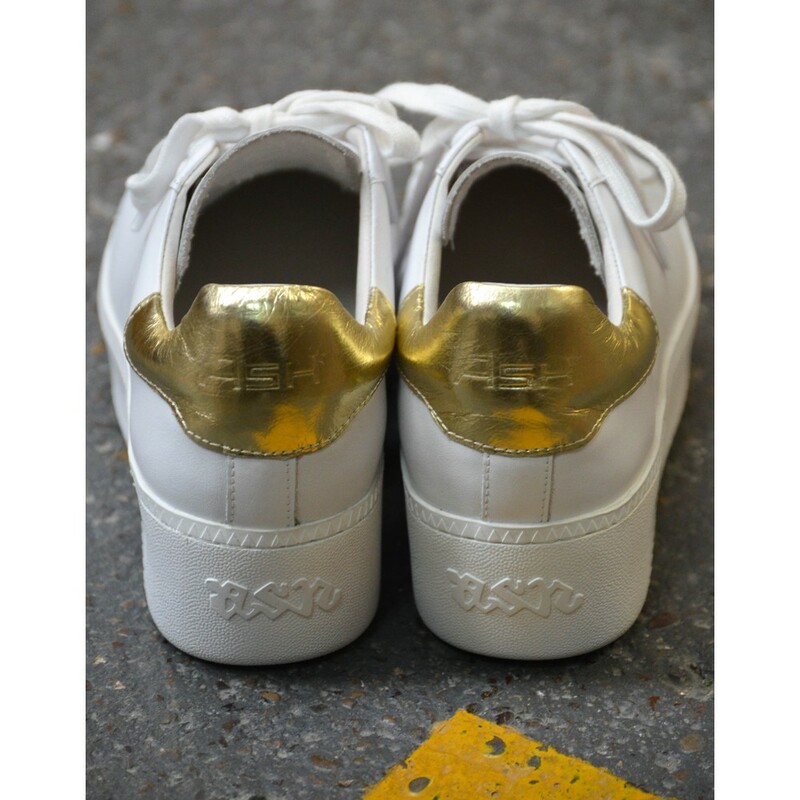 They have a part leather lining and a contrasting gold flash on the heel.